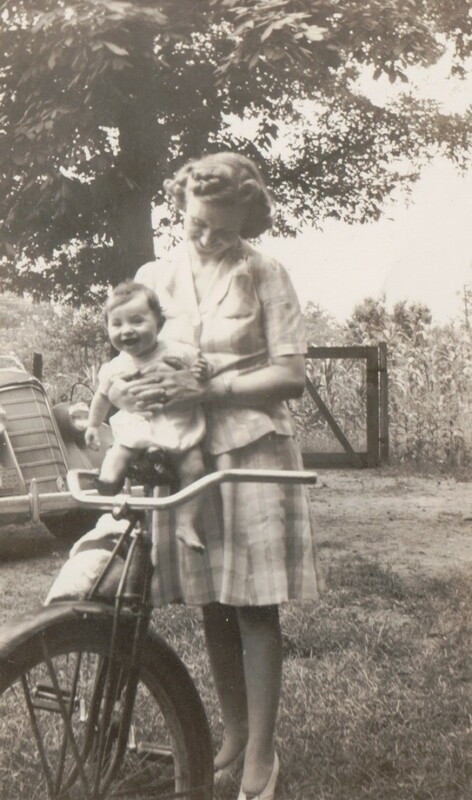 It was an ordinary early spring morning for my mom, Christine, who lived in the foothills of the Blue Ridge Mountains of Virginia in a modest home built on land that had been in our family for generations. From her special chair in the sun room, she could see the mountain where she was born to her loving parents — orchardists — back in 1916. At age 87, a retired school teacher, she’d been living alone for several years since our dad’s passing. She loved the rhythm of her quiet life; caring for her home, raising flowers and vegetables each spring, and having family come for visits. This gave her the chance to cook the traditional recipes she was known for — angel biscuits and sweet potato pudding among many. Mom was a self-starter and early riser, having her day planned out before she ever got up in morning. She would be in her kitchen by 7 or so, preparing her breakfast of a poached egg, juice, and toast to go along with her daily cup of coffee. After taking her pills, she would call me or my brother and maybe her sister Geraldine, who lived just a stone’s throw down the hill, to connect and share a good morning. On this day she would have made her bed, swept the kitchen, and maybe put on a pot of vegetable soup; this was her usual pattern. Her home, built in the early 1960s, was comfortable and easy to care for. Living in the country, she never needed a garbage disposal — any food scraps were simply carried the 50 yards or so away from the house up to the edge of the woods, where various forest creatures appreciated it. Late that afternoon she made the trip to the woods as usual, uneventful until — WHAM! She tripped over a tree root, falling headlong to the ground. She told us later that the impact was so hard she lost her breath. Unable to get up, her first inclination was to call for help. As best she could, she started yelling “Help Me!” until she ran out of yelling strength. Her great niece and her family lived up the hill beyond the woods, and her sister down in the other direction. But no one could hear her cries. As daylight started to fade, she resorted to crawling backward on her elbows a few inches at a time until she reached the house. She managed to get the door open and, grabbing the phone cord, pull the phone down so she could call her sister and niece. They came quickly, and except for sore wrists and some bruises she got through the ordeal with no major problems. My brother, Jim, came in that evening and stayed over a few days while mom recuperated. He wasted no time getting her signed up for an alert necklace, which we insisted she wear at all times. That experience was a wakeup call for my brother and I. 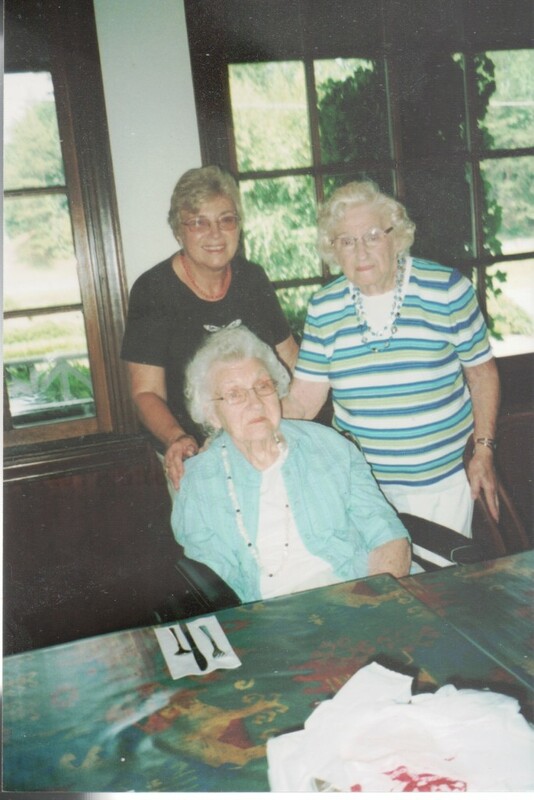 We knew that mom would need more frequent visits, so rather than making the trip from Ohio once-a-month, I began alternating weekends with my brother as we took more responsibility for our mother. As time went on, it was clear that mom needed more help than the two-day-a-week afternoons on the present schedule. She had a chronic condition — pernicious anemia, a blood disorder where the body ceases to produce vitamin B-12. She received injections, but she still had a tendency to fall asleep at times during the day. Once, mom was preparing her meal at the kitchen stove and decided to rest in her chair a few minutes. This turned into a nap. Luckily, smoke from the stove must have awakened her, and the only damage was a heavy scorch mark down the side of the cabinet nearest the stove. Mom was also being treated for a condition called atrial fibrillation. As I understand it, this means that the heart muscle quivers, instead of beating normally, shortchanging the blood’s normal circuit. She took a blood thinner for this condition for many years, and keeping her medication on a regular schedule was critical for her survival. She would occasionally nap after taking her pills, sometimes waking up and not remembering that she had taken her medication already. At these times she would do it all over again, resulting in dizziness and slurred speech and prompting a call to her sister. Because our Aunt Geraldine didn’t drive, she had to depend on her adult son or daughter to pick her up and take her to see about mom. This got old after a while. Convincing her that she needed help at home was almost impossible, and we decided to take her for a tour of a Methodist retirement community in the nearby city as a way of laying out her options. I made the arrangements, and my brother made a special trip to be there with us. The campus was lovely and the facility was more like an elegant older hotel. We saw nice looking people being active, and we enjoyed the tour — or rather my brother and I enjoyed the tour, while mom sat and pouted the whole time. My brother and I felt that this gave us a little leverage. We told her that if she expected to remain at home through the winter, she needed to have some help. Luckily, a distant cousin of hers worked as a home companion and was willing to help out. Eventually, mom agreed to three hours of help, twice a week. Thinking that was better than nothing, my brother and I agreed. Sue, our mom’s new companion, did her best to win mom over. She brought homemade goodies, and sometimes flowers from her garden. Sue didn’t cook like mom did, though. Mom began losing weight, not able to care for herself as she always had. Falls became more frequent. The house, although all on one floor, was not that safe for someone with balance problems. Even the high bed she loved required that she use a stepping stool each night. One afternoon, she was outside on her patio trying to water some plants. She lost her footing where the concrete ended and, although she had on her alert necklace, she forgot about it. Again she resorted to yelling for help. This time she was in the front yard, nearest her sister’s home, and they heard her calls. 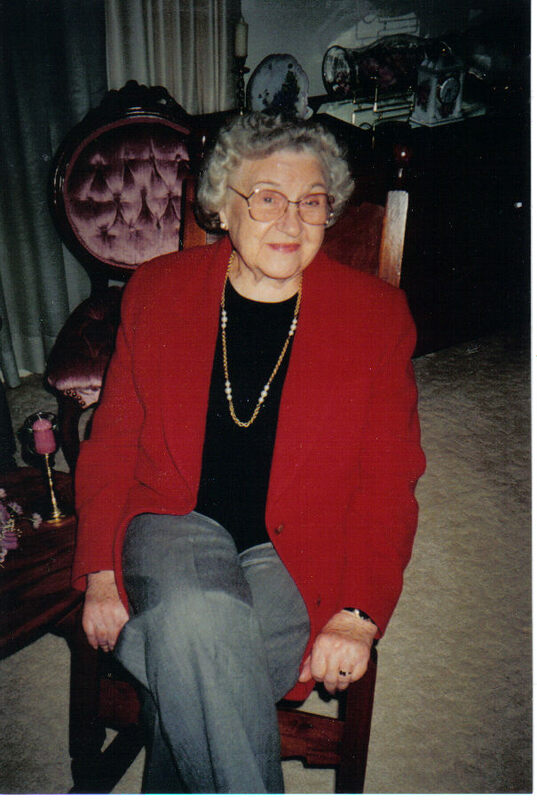 It was January 1, 2007 when the call came from my Aunt Geraldine. My husband and I had made an overnight trip to Cleveland, where we enjoyed the symphony and had a night out — an early birthday present for me. “Patsy, something has to be done about your mother,” my aunt said on the phone. “We can’t go on like this.” I knew then that our family life was about to change big time. My husband and I were getting ready to take a trip to Hawaii, and my brother agreed to stay with mom while we were gone. I would then bring her back to Ohio with me. While Jim was in town, he took mom to see her family doctor, who then sent her for an evaluation by a neurologist. The appointment did not go well; perhaps inexperienced, the neurologist and his assistant handled the interview and mental evaluation poorly. They talked down to her and treated her in a cold, officious manner. They were blunt: “You need to be in a nursing home with 24-hour supervision,” they said. She became very angry and extremely upset. She was shocked, and her feelings were hurt. After we came back from Hawaii, my husband and I drove to Virginia and brought her home with us. It was a wrenching situation, and mom fought it all the way. I used the only argument I could think of at the time; I told her that Jim and I might be arrested if they found her living in an unsafe place. We tried to treat the whole thing as a visit, even though that was the last time mom ever got to be in her own home. My brother and I feared we would never be able to get her to leave again if we brought her back. Now that she’s gone, I grieve for her, remembering that period and realizing what an emptiness she must have felt leaving the place she loved and cherished.